Instead of tearing down an abandoned grain silo, COBE used the landmark to create a 17-storey residential project in Copenhagen that places social sustainability – and expressively angled balconies – at its core. The Silo is a 2018 AZ Awards Winner for Multi-Unit Residential Architecture. Any city seeking to repurpose defunct industrial relics should look to this Copenhagen residential project for inspiration. 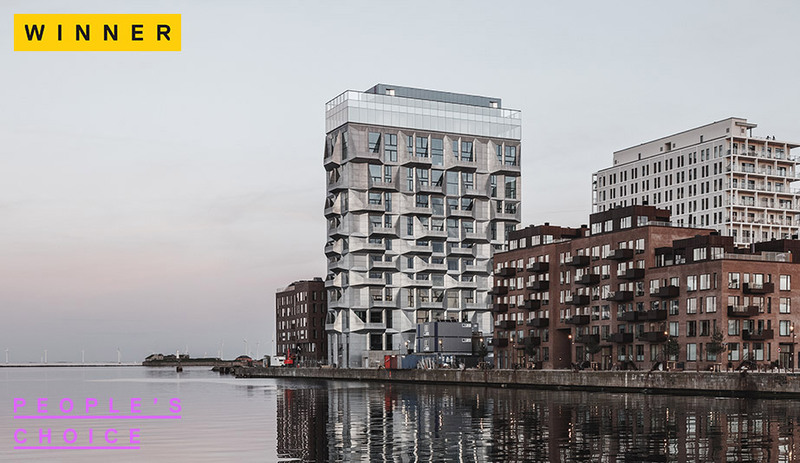 Located in the new district of Nordhavn on the Øresund coast, the Silo transforms an abandoned grain silo from the 1960s into a spectacular residential tower. This was no small feat. According to COBE, it would have been easier to simply tear the landmark down – but principal Dan Stubbergaard recognized that the tallest industrial building in this former harbour represented a built resource worth celebrating. The firm did so by sheathing the 17-storey structure in a galvanized-steel wrapper that incorporates expressively angled balconies. This dramatically sculpted cladding serves as a climate shield to protect the interiors from direct sunlight and wind, and its perforated patterns create an effect akin to sun-dappled water. Generous openings were carved into the concrete facade to create space for floor-to-ceiling windows and large balconies. The offcut slabs were then repurposed into pavement and urban furniture for a public space, meaningfully linking the building to its context. 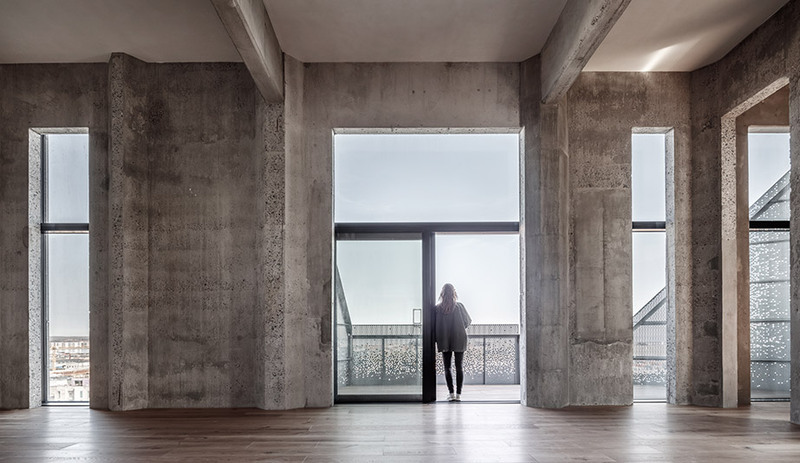 Inside, the original spaces for storing and handling grain have been transformed into 38 unique apartments, measuring up to 401 square metres, with ceilings that soar to seven metres. The building also houses a public event space, and the top floor is a restaurant with unrivalled views of the city and the Øresund coastline. 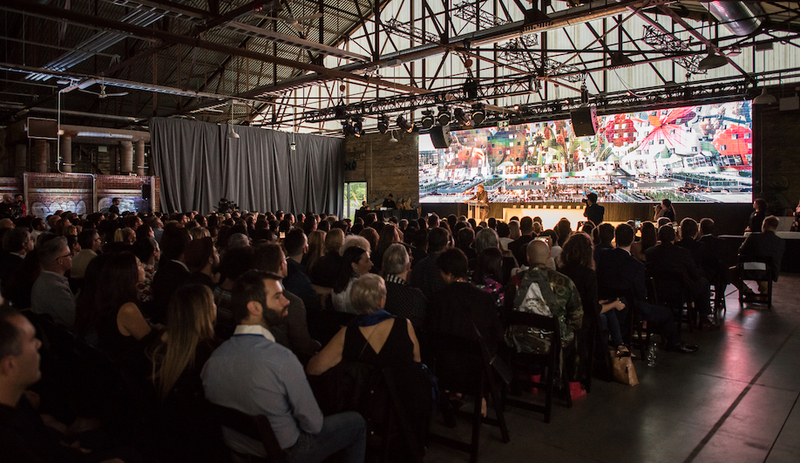 In fact, the Silo is now a destination for all Copenhageners – one that speaks of social sustainability, respect for context, and community pride.